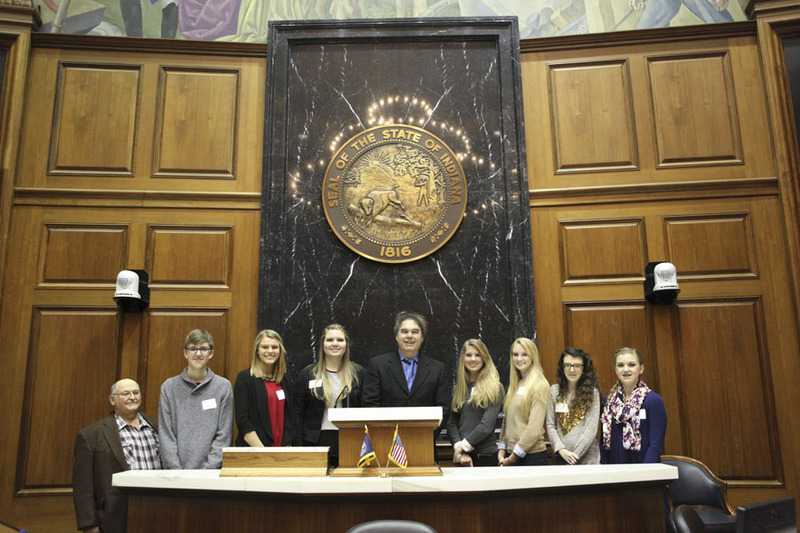 Today I welcomed 4-H youth members from Sullivan, Daviess and Greene counties to the Statehouse. During their trip, we talked about the legislative process and visited the House Chamber and the governor's office. 4-H is a great program for our youth. According to 4-H.org, 4-H “empowers six million young people in the United States by being the nation’s largest positive youth development and youth mentoring organization.” 4-H empowers its members by fostering personal development, enabling students to make healthy choices and giving students the tools to excel in science, engineering, technology and math. Programs that 4-H members can participate in include: science, citizenship, healthy living and mentorship. Students who join and participate in 4-H are four times more likely to make contributions to their communities and are also two times more likely to be civically active.